Wednesday, April 4, 2018, 7:30 p.m.
David Tomas Martinez’s debut collection of poetry, Hustle, was released in 2014 by Sarabande Books. Martinez is a Pushcart winner, CantoMundo fellow, a Breadloaf Stanley P. Young Fellow, and NEA fellow. A second collection, Post Traumatic Hood Disorder, is forthcoming from Sarabande Books in 2018. 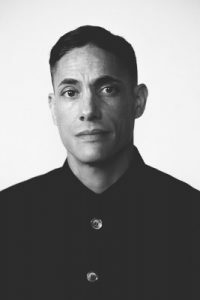 Martinez lives in Brooklyn and teaches poetry at Columbia.